Vice Media is looking to raise $200 million to attain its goal of reaching profitability by early 2020. The funding will likely be a mix of debt financing and equity. That’s according to a new report from The Information. To date, Vice has raised $1.4 billion across several rounds of funding, according to Variety. In 2017, the company raised $450 million from private-equity firm TPG. That investment made the company worth $5.7 billion, according to cofounder-then-CEO Shane Smith. The money was used to support Vice’s international presence and launch Vice Studios. However, Disney disclosed a $157 million write-down last year on its stake in Vice, a 40% decline from Disney’s original $400 million investment in Vice three years ago. Just last month, Vice let go of 10% of its workforce - or about 250 employees - to cut costs. At the time, Vice CEO Nancy Dubuc said she wanted to focus more on its international news team, film and TV production, digital business and the company’s in-house ad agency, Virtue. The company said it anticipates revenue growth of around 15% in 2019. 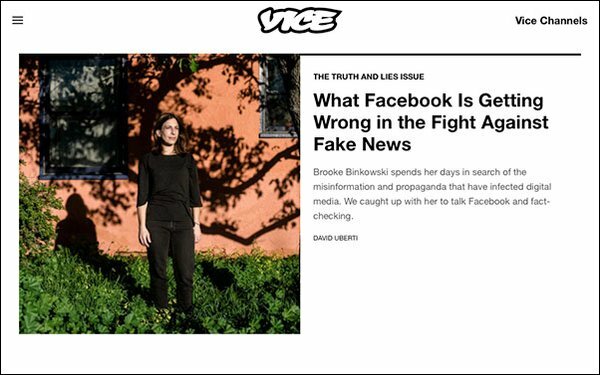 However, Vice has had trouble meeting its revenue goals: The Wall Street Journal reported late last year the company expected to bring in $600 million to $650 million in revenue for 2018, about $100 million short of its projection in 2017. Vice isn’t the only digital publisher struggling to meet its revenue marks. BuzzFeed, for example, missed its own revenue mark by up to 20% in 2017. Last week, the company announced it would cut 15% of its staff.